Tamil Nadu Public Service Commission (TNPSC) has released answer keys of the recruitment exam held for the post of Assistant Engineer (Agricultural Engineering) held on 7 October 2017. New Delhi: Tamil Nadu Public Service Commission (TNPSC) has released answer keys of the recruitment exam held for the post of Assistant Engineer (Agricultural Engineering) held on 7 October 2017. Candidates who had appeared for the examination can check the answer keys at the official website tnpsc.gov.in. Answer keys have been released for agricultural engineering, basics of engineering and general studies paper held. 'Right Answer has been tick marked in the respective choices for each question. Representations if any shall be sent so as to reach the Commission's Office within 7 days. Representations received after 17th October 2017 will receive no attention,' reads the official notification. The Commission had started the recruitment process in July 2017 for SC/SC(A) and ST backlog vacancies. The written exam comprised of two papers. Interview will also form an important part of the selection process. The total mark will be 570 out of which only 70 marks will be for interview. The question paper was bilingual: English and Tamil, except English language paper. Examination was held at Chennai, Coimbatore and Madurai. 'Final selection will be made on the basis of the total marks obtained by the Applicants at the Written Examination and Oral Test taken together subject to the rule of reservation of appointments. Applicant's appearance in the Written Examination and Oral Test is compulsory. 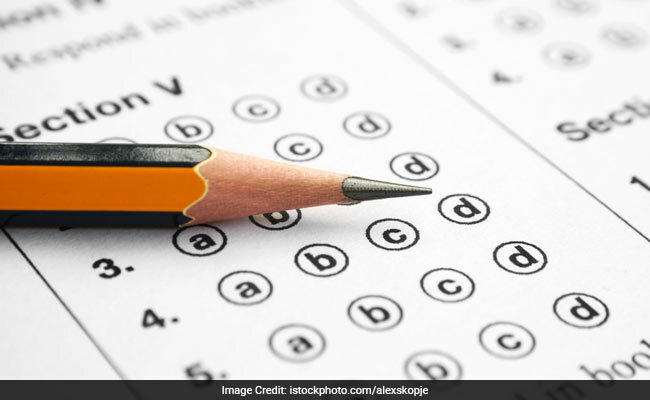 An Applicant who has not appeared for the Written Examination or the Oral Test will not be considered for selection, even if he/she secures qualifying marks for selection,' reads the official notification.